A docu-fiction in 6 episodes, Transumanza Tour will try to narrate it through the encounter with six different rural realities in as many different Italian regions. Our eyes will be those of a music band, our chance that of wwoofing, used by the band as a form of exchange for food and lodging. Through the band’s experiences, emotions, endeavours and strains, we will be introduced to six farms and their innkeepers, bearers of the traditions of an archaic world and at the same time witnesses of a new social phenomenon – that of ‘return’. Return to the land, return to the archaic. Return of young graduates, families tired of the tyranny of consumerism, the unemployed looking for a way out of mere survival; return of the offsprings of that generation that fought for their sons and daughters’ higher education only to find them go back to attend the land they once left. Among them, Vito, Arianna and Susanna – voice, violin and guitar of Vito e le Orchestrine – will go back to that world and those rhythms – their “return” is what this journey will guide us through. 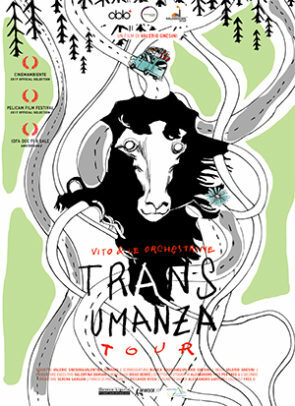 Transumanza Tour will be a journey through all this and an a path of mutual exchange and growth, across Italy from Basilicata to Liguria. The tour follows music and musicians as they cope with the rural settings in which they are called to play, live and work, while they get acquainted with the wwoofers they find on their path, and meet the hosts introducing them to the delights and strains of rural life. First gig of the tour and beginning of the journey: Maratea, summer solstice.